According to the EHI Retail Institute and Microsoft white paper “Smart Store”, 32 per cent of respondents already rely on the use of AI solutions in stores, with 36 per cent planning to do so over the next few years. The use of trending technologies such as voice commerce (33 per cent), chatbots (44 pe rcent) and blockchain (62 per cent) are also more likely to be considered in the longer term. The ways to implement AI are manifold. According to the mentioned white paper, a specific area is particularly valuable. Fifty-three per cent of respondents say predictive analytics is most relevant to their company, followed (by a wide margin) by site-specific allocation (goods) and image recognition, for example, to identify products on the sales floor or in upstream processes. The assessment of these priorities makes a lot of sense, as a smart store produces a large amount of data. In addition, many other networks and transmissions are needed to deploy the AI and derive measures for machines or people. However, there’s often insufficient Internet bandwidth available in the branches and this can be a problem. 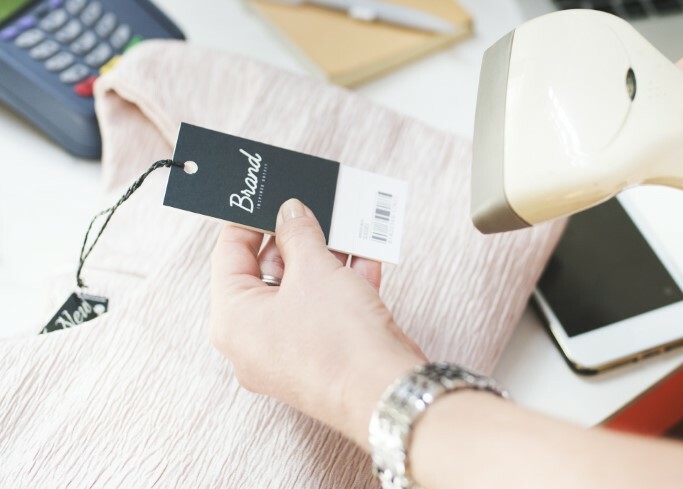 When loading there are two aspects that are always annoying from the customer’s point of view: long waiting times for changing rooms and when paying. But this can be changed with the help of technology. Many tests have been done over and over again. But prototypes didn’t prevail. Tap & GO: A customer can use a card or a smartphone to add the products directly to the shopping cart by grabbing items directly from shelves with sensors. If the customer is finished with the purchase, the account is automatically charged after leaving the store. This provides a super fast shopping experience and eliminates queues at the cash register. Scan & GO: Instead of typing, the customer scans the items with their smartphone. The articles are secured by RFID or IoT-based merchandise security (“spider tags”). When the shopping cart is filled, the customer pays by app using credit card, PayPal, Google Pay, or Apple Pay. After paying, they’ll get their receipt by email. Before they can leave the store, they’ll have it all unlocked at the exit of the building. This eliminates theft. Examples include tests by Saturn with Smart Pay or with the start-ups mishipay or rapitag. Grab & GO: The concept is based on a branch equipped with various sensors, e.g. with cameras in ceilings and shelves. They can identify and monitor both customers and products. This approach is mostly used in Asia. Autonomous branches: Access is given via QR code of a customer app. Amazon Go is the best-known example. But in Asia this concept is already the norm. E-Commerce giant JD.com relies on an automated supermarket, Alibaba opened HEMA two years ago. In addition, these branches serve as a delivery service to the customer or as an independent supplier for filling. 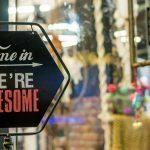 Whether it’s Smart Displays, AR, Virtual Reality, or Smart Shelving – smart-store technologies that are currently being tested provide customers with unique and seamless shopping experiences, and greatly simplify the purchasing process. H&M has set up its flagship store with a voice-driven, interactive mirror. A QR code scan proposes to the customer at the mirror outfits, which can be bought immediately. In addition, personalised discounts are granted on mirror shopping. Technology can take a lot of work out of branch employees and automate and optimise some routine operations. At the moment there are four technical directions that are gaining importance. Inventory management with the help of camera images and evaluation by means of AI is currently used in many areas. These smart shelves have interactive displays along the shelf’s edges. Through a cloud portal, prices, advertising, news, and product information can be managed on all shelves at all locations and updated in real time. By using IoT, vending machines become smart machines, such as. with the WMF Coffee Connect/Schaerer Coffee Link digital platform, which connects more than 140,000 bidirectional machines. Sometimes data such as maintenance status of the machine or the time of issue of the various products are measured. Wearables or smartwatches are well suited alternative output devices for employees for whom a smartphone is too big or unwieldy, such as for branch employees. The Steigenberger Airport Hotel Frankfurt uses a smartwatch from Trekstor to optimize its service processes. According to the mentioned white paper “retail is in the middle of a conception and development phase regarding the implementation of in-store concepts.” Many topics are under surveillance without any concrete investment plans behind them. The applications are still low and it remains so far in isolated experiments.